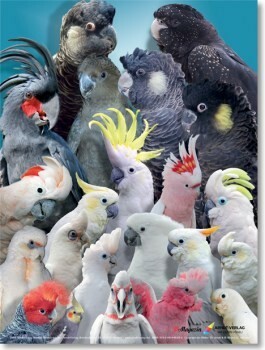 The poster "Cockatoo" shows all kinds, including the orange-headed cockatoos, and is an eye-catcher for all parrot friends. The poster is printed on eco-friendly 150g glossy paper in 800mm x 600mm format. links "Poster Cockatoo 800x600 XL format on glossy paper"
customer reviews on "Poster Cockatoo 800x600 XL format on glossy paper"